Somerset Rebels Speedway Official Website: WILLKOMMEN VALENTIN! 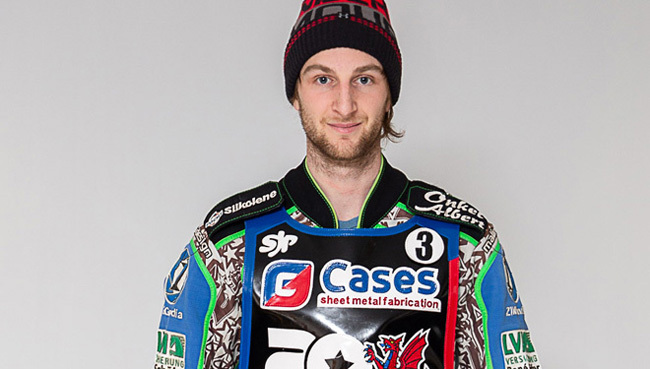 Somerset co-promoter Garry May has confirmed that 24 year old German Valentin Grobauer will join the 'Cases' Rebels for the 2019, following the decision by Dimitri Berge to step down. Having gained experience with Polish clubs Rawicz (2017) and Bydgoszcz (2018) the MSC Olching rider who also represents AC Landshut in his home nation, Grobauer has been snapped up by May for his debut venture into British racing. May admitted "Valentin first contacted me last year to seek an opportunity to ride for us but at the time I didn’t feel that he was quite ready for us, especially as we were then competing in the SGB Premiership. Now though, with the club dropping back to the championship and Valentin having gained additional experience the scope is there for us to give him a chance. He will come in on an assessed 5 point average and I know that is a target he will be looking to achieve for us. He is very enthusiastic and if his keenness matches his ability then we could be on course for the find of the season."